Car accidents are one of the leading causes of herniated discs. If you have pain in your back, arms, or legs after a crash, you might have one of these injuries. If someone else caused your crash, you could qualify for compensation for your injuries and other damages. An auto accident attorney might be able to help you file an insurance claim or personal injury lawsuit against the at-fault driver. When it comes to insurance claims for herniated discs, how much you can recover depends on several factors. At Max Meyers Law, we have experience helping accident victims in Washington recover compensation for their injuries, and we can determine if you have a case. Call 425-399-7000 today. How Can a Car Accident Cause a Herniated Disc? A car accident can injure your back by compressing two vertebrae together and smashing the disc between them. 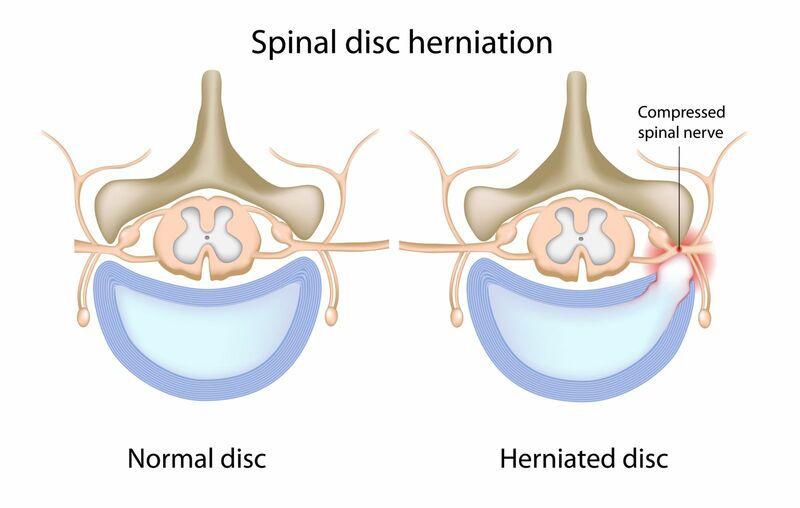 If the trauma has enough force, the exterior of the disc can rupture, and some of the jelly inside can spurt out into the surrounding tissues, causing a herniated disc. The gel irritates the nerves and causes swelling of the tissues around the vertebrae, resulting in localized pain. You can experience pain, numbness, tingling, and weakness in your arms or legs, depending on which vertebrae sustained injury. If you suffered a herniated disc from a car accident, you will likely need medical treatment to recover. You deserve compensation for those and other expenses. How Can I Determine the Settlement Value of My Herniated Disc Claim? Multiple factors will affect how much the settlement is for a herniated disc after a car crash. Most herniated discs heal without the need for surgery. If you are one of the lucky ones whose injury heals with rest, medication, and perhaps some physical therapy, your settlement value will be less than a severe injury that requires surgery. We will calculate your treatment costs using your medical bills and receipts. We can also use expert medical testimony to establish how much your ongoing care will cost. You could experience a short-term or long-term inability to work because of a herniated disc. You will likely miss work while recuperating right after the accident. If you are unable to work at all or you have to take a lower-paying job because of your back injury, we will determine the value of your long-term lost earning capacity. We might use a vocational rehabilitation expert to prove the impact of the injury on your ability to work. The length of time needed to recover will impact how much your claim is worth. Your recovery time will depend on the severity of your injury and the treatment needed to repair the damage to your spine. If your injury responds well to non-surgical treatment, your recovery time could last for several weeks. However, if you need surgery, you might need several months to recuperate. You can get compensation for the physical and emotional pain and suffering you endured because of the car accident. We can explain how we calculate pain and suffering damages during your free consultation. Most people eventually get their lives back after they heal from the herniated disc. Some people, however, experience chronic pain and have to undergo additional treatments and physical therapy. The extent to which your injury changes your life will affect the value of your case. What Damages Could My Settlement Include? Every case is different, but in general, herniated disc settlements can include compensation for the following damages. If your disc injury requires ongoing treatment, we will work with your doctor and other medical experts to determine its cost and include the amount in your claim. Some people also require physical therapy for pain relief and healing. You can also get compensation for your physical therapy costs in your settlement. If you missed time from work because of your injury, you could qualify for compensation for your lost wages. We would obtain evidence of your wages and other information from your employer to compute how much your herniated disc has cost you. Other work or career-related losses. If your injury renders you unable to work, we will seek appropriate compensation for the disability. Severe injuries can affect your quality of life. If your injury prevents you from participating in hobbies, affects your relationships, or otherwise negatively alters your life, we will account for this in your claim. We will compute a value for your pain and suffering using either the per diem or multiplier method. Who Is Liable for My Losses? We will determine who caused the accident that harmed you. We will use the police report, eyewitness testimony, and all other relevant evidence to prove your case. After we determine who caused your car accident and build a strong case proving their liability, we will pursue a settlement. We will file your claim with the at-fault driver’s insurance company and negotiate for your compensation. We will also make sure the insurance company does not make you a low-ball settlement offer that does not meet your needs. What Should I Do If I Suffered a Herniated Disc in a Car Accident? After your car accident, you should get medical attention, notify your insurance company, and call an attorney. The accident injury team at Max Meyers Law can help you prove fault and liability and fight for the compensation you deserve. Before you accept a settlement offer from an insurance company, give us a call at 425-399-7000. We will give you a free consultation and answer your questions about a fair settlement amount.